May Jewelers only manufactures and imports finely cut, GIA certified diamonds, as well as providing mountings, custom-made platinum and gold jewelry. 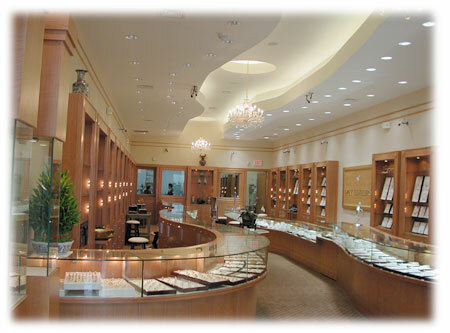 We are one of the largest dealers in 22Karat & 24Karat gold jewelry in the Washington DC area. As a manufacturer and importer, we are able to offer our diamonds at wholesale prices. 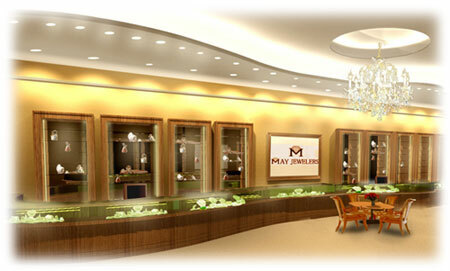 Additionally, our on-site creative goldsmiths provide design and repair consultations at excellent values. 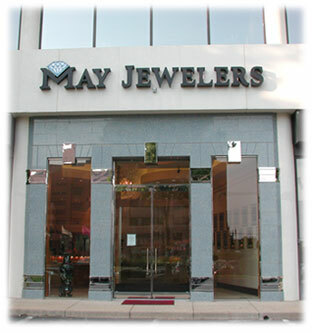 May Jewelers is renowned for the excellent proportions and quality of its diamonds and its accurate grading, as well as the quality of its gold-smithing, but most importantly, for its knowledgeable & attentive staff, who delivers first class services to valued customers. The Company's business is solely based on relationships with its clientele and our staff acknowledges the importance of earning your referrals. The highest compliment our clients can give to us is the referral of their family, friends, and business associates. Our goal is to build lifelong relationships...One Person at a time, starting with you!